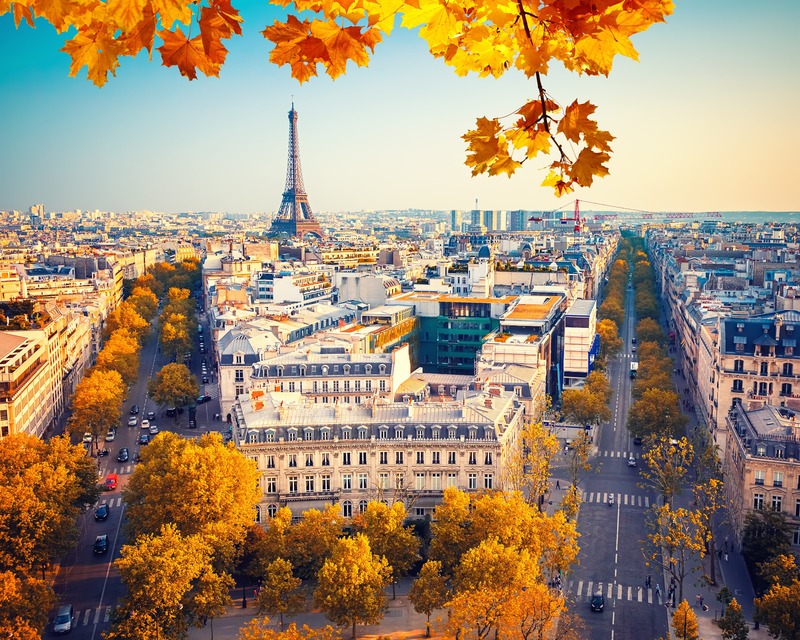 As the weather gets cooler and the leaves of the trees take on their flamboyant autumn colors, Paris slowly says goodbye to summer. The capital, however, doesn't prepare to go into hibernation, quite the opposite. Autumn is the season of the new school year but also a season rich in cultural twists and turns. So even if the days are getting shorter and the winter season promises a little less daylight, in theaters, art galleries, exhibitions halls, and restaurants a host of events are getting underway. Over the years, European Heritage Days have become an unmissable event. Throughout France, 17,000 public and private heritage sites open their doors to the public. The event, which has been held on the third weekend in September since 1984, allows entrance to many places that for the rest of the year are not open to the public or only permit a few visitors. Public buildings, castles, churches, industrial sites, and many others ... visits to them are free or at discounted prices. In the capital, visits to government institutions are very popular. The Palais l'Elysée, the Bourbon Palace, and the Palais du Luxembourg top the list of favorite sites but it is also possible to go behind the scenes at the Grand Rex, the Crazy Horse or even the sewers of Paris. For 2018, the event revolves around "the art of sharing." 15 and 16 September 2018, in Paris and Île de France. Free or discounted entry. The back to school season is also marked by two major design and fashion events: Paris Design Week and Paris Fashion Week. The first celebrates design in all of its forms and highlights the latest trends in shapes, materials, colors, and technologies. The event is open to both professionals and the public and takes place in different districts of the capital allowing Parisian design addresses to be showcased. It is organized in conjunction with Paris Fashion Week held at the Maison & Objet Lounge. This event is reserved for professionals and is a flagship event of the international fashion calendar. The fashion capital sees a week of shows where designers unveil their ready-to-wear collections for the spring-summer 2019 season. Paris Design Week: from 6 to 15 September 2018. Venues across Paris. Free entry. Paris Fashion Week: from 24 September to 2 October 2018. Catwalk shows by invitation only. Formerly known as the Festival of Gastronomy, the Taste of France seduces both gourmets and gourmands. Taking place across France, it brings together professionals and individuals specializing in the French culinary heritage. Workshops, taste awareness sessions, picnics, banquets, aperitifs, tastings ... in Paris, the event is celebrated in many ways. This year, you can enjoy its theme of "tastes for all the senses." From 21 to 23 September 2018. Venues across Paris. Prices vary. The eclectic Autumn Festival in Paris gives pride of place to contemporary productions in theater, dance, music, the visual arts, and cinema. With quality programming, events take place in iconic venues throughout the capital and the Île de France region such as the Maison des Arts in Créteil and the Odéon-Théâtre de l'Europe. This year, it continues until February 2019. Swing, bebop, fusion - the Jazz à la Villette celebrates this musical genre in all of its forms for the pleasure of amateurs. The 2018 edition is complemented by a program specially designed for children, Jazz à la Villette for Kids! Kiosquorama intertwines sustainable development, eco-citizen commitment, and music. This free festival is unusual in that it takes place in park, square, and garden kiosks. Autumn Festival in Paris: from September 10 at performance venues in Paris and the Île de France. Prices vary according to the show. Jazz à la Villette Festival: from 30 August to 9 September 2018 at the Parc de la Villette. Prices from €8 to €45 according to the event. Kiosquorama: from 8 September to 29 September 2018. Held in 13 parks of Paris with free entry. The Fiac remains one of the most eagerly anticipated events of the autumn by those involved in the international contemporary art market. For four days, the Grand Palace becomes a giant art gallery where 200 international gallery owners present the works of their emerging or established artists to a host of collectors, museum curators, artists, art enthusiasts, and art lovers. Running parallel, the "Outside the Walls" Fiac, disseminates works in prestigious venues of the capital in order to engage the public and initiate discussions about art. From 18 to 21 October 2018 at the Grand Palace. Price: €38. Concessions: €25. Free entry for children under 12. Art Élysées and Design Élysées are a rendezvous for art lovers, collectors, and professionals from the artistic world. This fair has chosen a spectacular background for its ephemeral galleries: the Avenue des Champs-Elysées. More than 70 galleries and 185 artists exhibit in temporary pavilions, displaying challenging modern and contemporary art for the public. An extravagant and artistic evening, White Night lights up the capital from sunset to dawn. The architecture of the capital, both famous and every day: plazas, squares, schools, museums ... is brought to life with concerts, artistic installations, multimedia performances, dances, and light shows. Four constellations or artistic pathways are being conjured up for the 17th edition of this event. Restaurant owners play their part by staying open longer and for part of the night, public transport is free. More than 150,000 fans of Japanese and pop culture come together each year at the Paris Manga and Sci-Fi Show. This is an opportunity to purchase mangas, comics, figurines, and other collectibles. Featuring more than 25 editions so far, this event showcases some of the stars of television series, letting you get their autograph or have your picture taken with them. It is also an opportunity to dress up as one of your favorite manga heroes and try your luck at the National Cosplay Cup, a competition that gives the winner a flight to Japan. 20 and 21 October 2018. At the Paris Expo Porte de Versailles. Tickets in advance from €13.50. 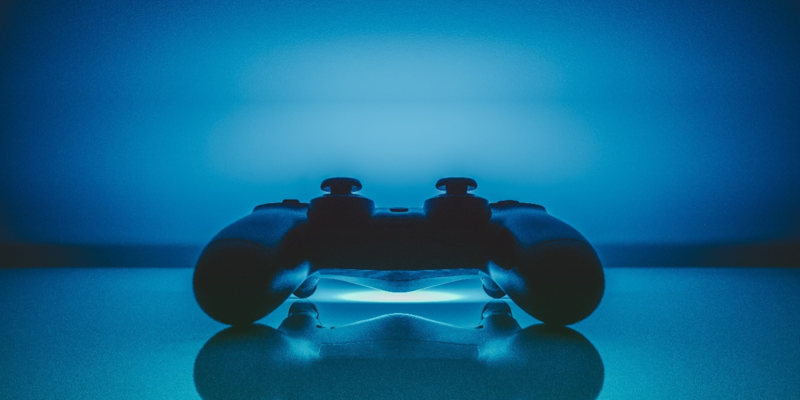 Paris Games Week presents itself as a major event for both game producers and video game enthusiasts. Of course, you can play for hours on giant screens, participate in competitions and challenges or stock up on the latest games. But, it also provides a showcase for an industry that is in perpetual evolution with new technologies such as virtual reality being presented. Professionals promote their businesses as new developers gauge public reaction to their games. This event is also ideal for starting your Christmas shopping. From 26 to 30 October 2018. At the Paris Expo Porte de Versailles. Full price tickets from €19. Concessions from €15. This feast of Celtic origin, popularized in the United States, is now very popular in France, especially among youngsters. It is, therefore, no surprise that we see it being celebrated in the theme parks of Paris. At Disneyland Paris, Mickey, who is celebrating his 90th birthday, leads Halloween celebrations from 1 October to 4 November. At Parc Astérix, a haunted trail awaits visitors with several special frightening nights being organized from 31 October to 3 November. 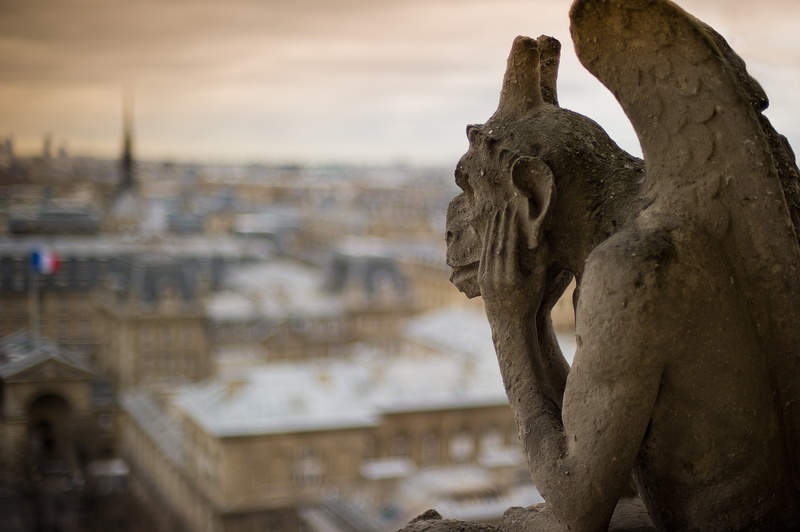 But, if you want to be scared all year round, head to Le Manoir de Paris where the most terrifying legends of the capital are brought to life. For Halloween, the place presents a particularly terrifying spectacle (not recommended for children under 12). Halloween at Disneyland Paris: from 1 October to 4 November 2018. Prices: entrance fees to the park. Halloween at Parc Astérix: from 6 October to 4 November 2018. Prices: from €37. The Manoir de Paris, Halloween show: from 5 October to 18 November 2018. Prices: from €29. Just as anticipated as its big sister, the Paris Fair, the Autumn Fair is where you discover new trends for the home. Now called "Paris Home", this is an inspiring event for anyone looking to update their home decor or invest in new equipment. Workshops provide practical tips for improving your home while the show's stalls are full of treasures. From 26 to 4 November 2018. At the Paris Expo Porte de Versailles. The biggest names in the world of international tennis meet on the courts of the Palais Omnisport Paris-Bercy. A must-attend event for all fans of the little yellow ball. In 2017, this ATP tournament saw American Jack Sock take victory in the men's singles. From 27 October to 4 November 2018. At the Palais Omnisport Paris-Bercy. Prices: from €16 to €382. Every year on the third Thursday of November a cry goes up everywhere in France: "the new Beaujolais has arrived." This is an opportunity to throw a party around a glass of this iconic wine. A first-class wine, available on sale for only a short period, Beaujolais Nouveau celebrates a fine French wine tradition while announcing both the end of year celebrations and the new wine season. Many Parisian bars and restaurants throw special dinners, tasting parties and other events to celebrate. Thursday, 15 November 2018. Many bars and restaurants of Paris will be participating in the event. Prices: vary according to venue and event. Music festivals in Paris are not just confined to the summer. The Pitchfork Music Festival and the Inrocks Festival are two major events that continue to make music lovers dance even as the temperatures fall. The Pitchfork is a French version of a Chicago music magazine festival which offers an eclectic program ranging from rock and hip-hop to electronics. In its 11th year, it is taking place at the Grande Halle de la Villette from 1 to 3 November. Sponsored by the eponymous magazine, the Inrocks Festival celebrates its 31st year this year. Favoring indie music, this year the magazine has given its festival the theme of curiosity. The Pitchfork Music Festival: from 1 to 3 November 2018. At the Grande Halle de la Villette. Prices: from €50 to €135. The Inrocks Festival: from 21 to 25 November 2018. At La Gaîté Lyrique. Prices: from €30 to €88. For the Horse Show, the Parc des Expositions Paris Nord Villepinte is transformed into a large stable for nine days. This is the perfect event for getting to know horses, attend indoor horse shows, have a go at horseback riding and meet professional riders. Shows and demonstrations of old and new disciplines such as Western riding delight both young and old alike. The Night of the Horse, on 24 November, the World Arab Horse Championship, and the Longines Masters of Paris are among the highlights of this 47th-anniversary show. The Horse Show: from 24 November to 2 December 2018. At the Parc des Expositions Paris Nord Villepinte. Full price tickets: €14. Concessions: €12. Children from 6 to 12 years old: €8. The Créations & Savoir-Faire Trade Show is open to the general public and is where you can keep up to date with the latest Do It Yourself trends, take part in creative workshops, learn how to customize your clothes and home or simply shop for Christmas gifts. It is held at the Paris Expo Porte de Versailles and brings together the creative hobbies that people are passionate about. Fashion, needlework, paper crafts, color, and DIY ideas are just some of the areas on display. From 28 November to 2 December 2018. At the Paris Expo Porte de Versailles. Prices: €14 in advance, €16 on the day. Every year in autumn, the Paris Expo Porte de Versailles becomes a haven for photography lovers. The Salon de la Photo invites beginner, amateur, and professional photographers to explore the latest innovations in photography technology and materials. It also offers them the chance to browse a large sales village where a wide variety of equipment and brands are brought together. From 8 to 12 November 2018. At the Paris Expo Porte de Versailles. Full price: €12. Concessions €6. Free for children under 12.